Alice LaPlante's first novel, TURN OF MIND, was one of my favorite books of 2011. Written from the point of view of a woman struggling with dementia, it was one of the more creatively narrated and plotted mysteries I've come across. 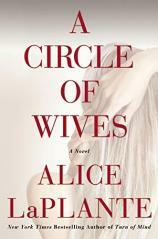 Now LaPlante follows up the success of her debut with A CIRCLE OF WIVES, another excellent literary mystery that is as much about characters as it is about whodunit. The book opens with the death of renowned plastic surgeon John Taylor, whose body is found in a Palo Alto hotel room following an apparent heart attack. The bruises on his body, as well as some other inconsistencies at the scene, prompt young Palo Alto police detective Samantha (Sam) Adams to investigate the death further. Sure enough, the autopsy reports suggest that foul play may have been involved. But who would have a motive for killing this successful and philanthropic doctor, father and husband? "...another excellent literary mystery that is as much about characters as it is about whodunit." Plenty of people, as it turns out. For one thing, Taylor wasn't just one woman's husband --- he apparently was married to three women at the same time, as all three discover following his death. His first wife, Deborah, is the mother of his three children and a pillar of the community, serving on countless boards and committees. 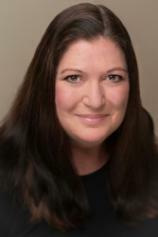 MJ, to whom he's been married for six years, might as well be Deborah's polar opposite --- she's unpolished, down-to-earth, the kind of woman who spends her day gardening and hasn't visited a salon in years. Finally, there's Helen, a young pediatric oncologist to whom Taylor has only been married for a few months. Each of these women has something to lose from Taylor's death, but each also has a compelling reason to want him dead. Sam's job is to get to the heart of this tangled web of relationships --- as well as others that only come to light during the investigation. Meanwhile, this is Sam's first big case, and her insistence on following all the leads is met with resistance both inside the department and among the potential suspects. Sam's tendency toward self-doubt also extends to her own relationship with her long-time boyfriend. Her relationship with Peter is comfortable and safe, but as she interviews Taylor's wives and hears their heartfelt memories of Taylor and the passion they shared, she begins to wonder if her own life is sorely lacking in that same kind of passion. In the end, A CIRCLE OF WIVES is as much about this quest for passionate love as it is about uncovering who killed Taylor (although the whodunit element is also compelling in its own right). It's fascinating to trace Sam's gradual identification with Taylor's wives even as she interrogates them. Sam is a skillful detective, but she's also a vulnerable young woman, and LaPlante adeptly illustrates this interplay. If the novel has a weakness, it's that the reader never really sees what exactly it is about Taylor --- who's described as overweight, out of shape, and a bit clueless at managing his personal affairs --- that inspires such passion and devotion from so many women. But maybe that question --- about the indefinable, often inexplicable qualities that prompt and fuel passion --- is as much of a mystery as who killed Dr. John Taylor.